Sometimes an ellipsis just isn’t enough. 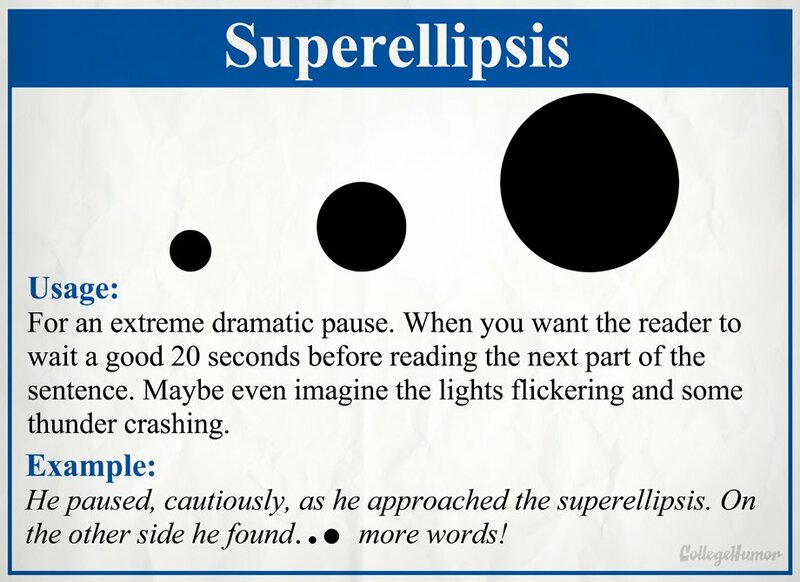 Sometimes you need… a superellipsis. As we increasingly communicate with each other through the written word, via texts, comments, and online chats, does anyone besides me feel that our choice of punctuation marks is sorely lacking? Well, I suppose College Humor does, since they’ve given us these suggestions for 8 new marks the English language direly needs. Now let’s get working on getting them all passed, because I don’t think Facebook can handle any more complaints from my end about enabling italics. No shame. Now you just have to practice your calligraphy and/or coordination skills. Because everything sounds better when God, I mean Mandela, I mean Morgan Freeman says it. 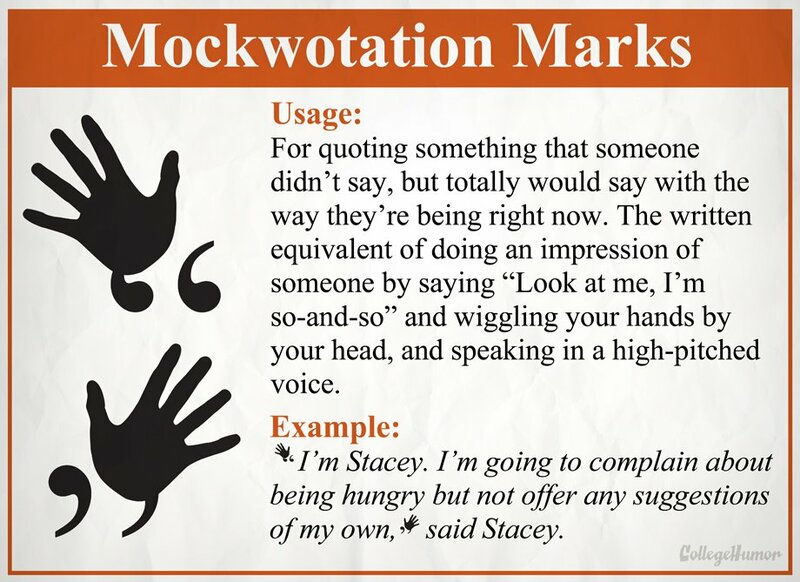 What punctuation marks would you create? Tell us your ideas in a comment!